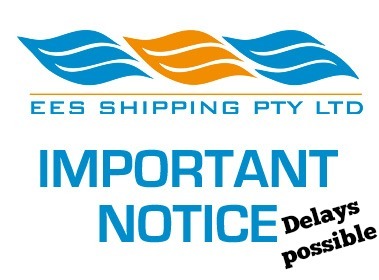 Please note that there are significant delays being experienced at Fremantle Ports. The continuous cold fronts that Fremantle has been hit with during the last few weeks has caused a flow on effect with vessels berthing later than expected and ships taking longer to unload due to the weather inclement. The unloading/loading of vessels ceases on and off with the squalls and high swells that have been moving through. The terminals are doing their best with unloading vessels during difficult circumstances. Currently vessels that were due to arrive Fremantle over the last few days are currently waiting for unloading outside of Fremantle. Our cartage team is endeavouring to keep up with the changes and delays, information is changing hour to hour. We apologise for these delays but note that it is out of our control.